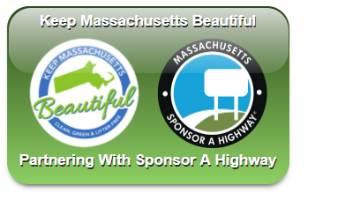 Sign up to sponsor a highway here and Massachusetts Sponsor-a-Highway® will donate $100 to Keep Massachusetts Beautiful. Click on the image above for more information. To report Massachusetts litter, call the Massachusetts Litter hotline at 1-857-368-3500. However, you may achieve better results by contacting your local MassDOT District Headquarters. There are six districts in Massachusetts and you can find contact information for your local office here. Litter or debris along Massachusetts highways is not only unsightly, but it can be dangerous. 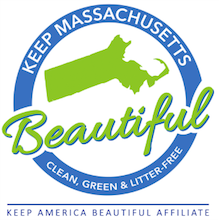 The Massachusetts Department Of Transportation (MassDOT) runs three programs that target highway litter and beautification. While these programs remove tons of trash from the sides of our major highways each year, the ultimate solution is for people to stop littering in the first place. Sponsor-a-Highway. This program allows civic-minded companies to pay for crews from Sponsor-A-Highway (SAHI) to perform litter removal on a two-mile section of the highway. Cleanup crews are contracted to perform litter removal 14-24 times per year. The business sponsor receives recognition in the form of a branded sign. Sponsorship fees vary depending on the condition of the road and volume of litter. Adopt-a-Highway. This program relies on volunteer teams to clean up litter along state roadways. Each volunteer team adopts a two-mile section of highway with the expectation that they will remove litter at least once a month between April 15 and Nov. 15. In this case, the state covers the cost of signs to recognize volunteer groups. Adopt-A-Visibility Site. Similar to Adopt-a-Highway, this program encourages school, business, and community groups to beautify and maintain high visibility areas and on-off ramps on state highways. In addition to litter clean up, this may include beautification projects and ongoing maintenance. Again, the state covers the cost of signs for nonprofits. In addition to these volunteer programs, the state’s Inmate Labor Program relies on prison work crews to remove litter along highways and perform general cleaning and unskilled painting projects. According to MassDOT, between 1,900 and 2,700 inmate crews venture out each year, depending on weather and availability. The state spends approximately $1 million per year on the Inmate Labor Program. Most of this money covers the cost of transporting and supervising work crews. Total annual costs for litter cleanup are unknown, as the state budget does not include a separate line item for litter removal. If you represent a company, community, or volunteer group that is looking to participate in one of these programs, please contact us for more information.